As a Mesa native, Ron grew up in the valley and then studied Business and Finance at Western International University. After climbing the corporate ladder with a local semi-conductor company and working as the National Sales Manager for over 10 years, he branched out to an industry familiar to the Duranti family for over 35 years... Real Estate. Ron found his niche in the Mortgage Business, and was welcomed into the Peoples Mortgage family in 2000 where his straightforward and honest approach with his clients and colleagues earned him the title of partner by 2003. 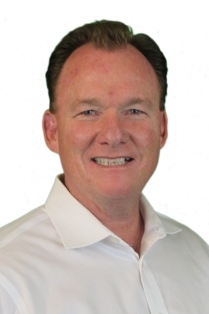 Ron has served as a Future Leader and is an active member of the AMLA (Arizona Mortgage Lenders Association). Additionally, he served as a mortgage expert for azcentral.com. Above and beyond his significant role to this industry, Ron has served on the Board of Directors for both MASD (the Mesa Association of Sports for the Disabled) and the civic organization the Hohokams, as well as served on fundraising committees for Phoenix Childrens Hospitals Camp Rainbow. His dedication to the Special Olympics has not only taken him to the golf course to test his coaching skills, but has most recently earned him the title of 2010 Volunteer of the Year for Special Olympics.